Photo courtesy of Santa Clara County Office of Education's Facebook page. 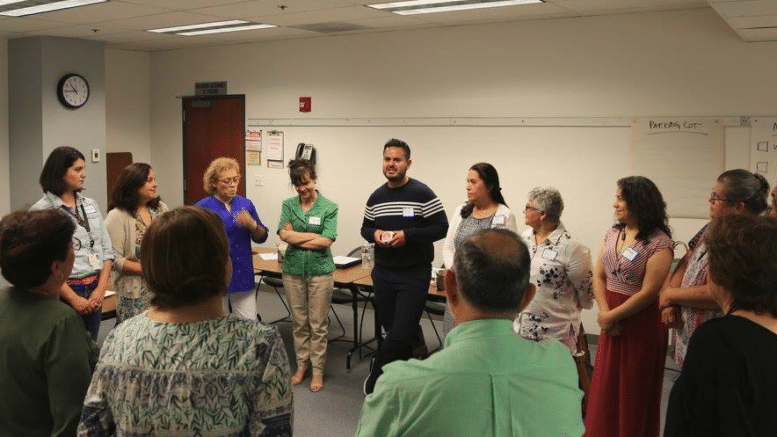 The Santa Clara County Office of Education is hosting a two-day workshop for teachers, leaders and coaches who want to understand and develop responsive performance tasks that are designed to build off English learners’ strengths. The Equitable Assessment for English Learners workshop, facilitated be Yee Wan, Ed.D, is on Nov. 28 and Nov. 29 from 8 a.m. to 3:30 p.m. Lunch and breakfast will be served on both days and materials will be provided. Payment by check or credit card is required to confirm a space. The workshop is sponsored by the Office of Education’s Multilingual Education Services, and will be located at the SCCOE office, 1290 Ridder Park Drive. For more information, contact Keysha Doutherd at keysha_doutherd@sccoe.org or click here. Be the first to comment on "Santa Clara County Office of Education to host English Literacy Development workshop"